The Star Wars franchise basically invented the science fiction blockbuster movie. As such, it receives a lot of the credit, or blame, depending on your perspective, for the big budget movie world that we live in today. When Star Wars: The Force Awakens was released last year we all saw that the franchise is still just as much the epic space opera that it ever was. 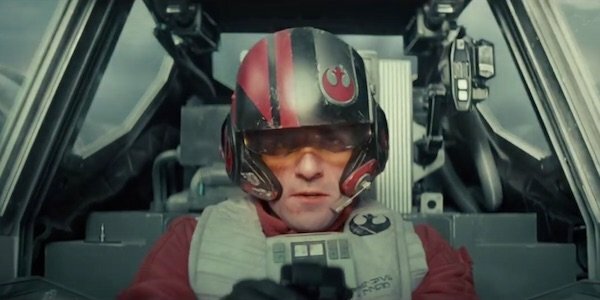 This makes us all the more curious for the upcoming Star Wars: Episode VIII because, apparently, it’s less a big budget blockbuster, and more like an independent film, according to Oscar Isaac. It shows just how much a director can change a film. Rian is definitely going to places and investigating things that haven’t really been done in the 'Star Wars' universe. For me, it’s so fun getting to explore different things that I wouldn’t have expected in this universe. In some ways it feels like we’re making an independent film. To be clear, Oscar Isaac’s comments to the Los Angeles Times are not implying that the scope of the film will actually be any smaller. Instead he’s talking about how Star Wars: Episode VIII is apparently focusing on different things than the previous film did. Isaac credits director Rian Johnson as the reason for the changes, implying that the new movie may focus a bit more on the characters than the spaceships. While Oscar Isaac is becoming one of the faces of blockbuster filmmaking, with his roles in both Star Wars and X-Men: Apocalypse, he’s done his share of smaller films, as well, so he knows what he’s talking about. Independent films tend to be much more character driven, as their budgets don’t allow for much else. Isaac certainly makes it sound like Rian Johnson will be focusing much more on who these characters are as people, rather than simply on how the plot impacts them. This is especially interesting to hear coming from Oscar Isaac, as his character may actually be the one we know the least about. While Poe Dameron doesn’t have the mystery surrounding his background that Rey does, it’s because his history is never discussed. Pretty much his entire character can be summed up as "nice guy, great pilot." We don’t know anything about who is or what brought him to this point. It appears we may learn. One of the benefits of using different directors for each episode of this new trilogy is that each gets to build off of what came before them, while adding their own unique style. We’re certainly interested to see what the director behind The Brothers Bloom will bring to a galaxy far, far away.